Learning to draw the human form can be intimidating. But at the same time we are easily captivated by its complex anatomical structure, movement, and beauty. It is in our nature to be enthralled with what makes us human. Eventually, as your skills as a draftsman improve, the process of drawing beckons you to explore all things homo sapien, both observed and imagined. 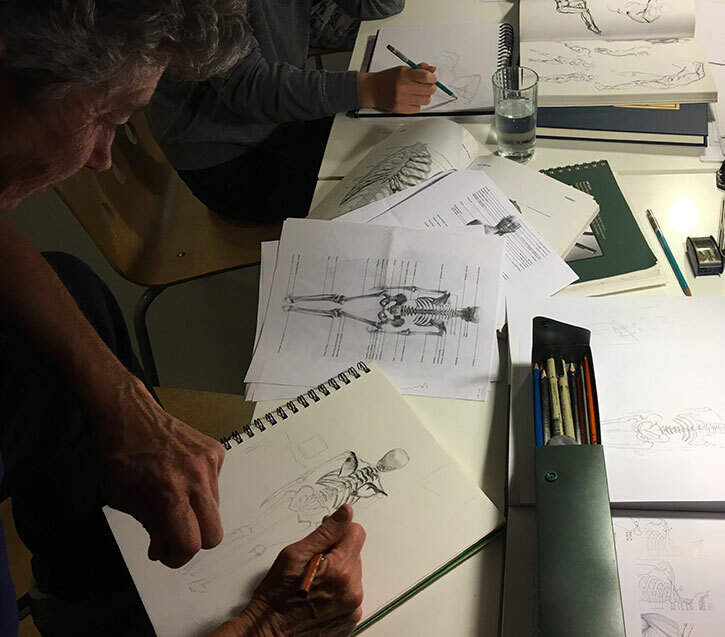 On Wednesday evening, Storey delved into human skeletal structure. 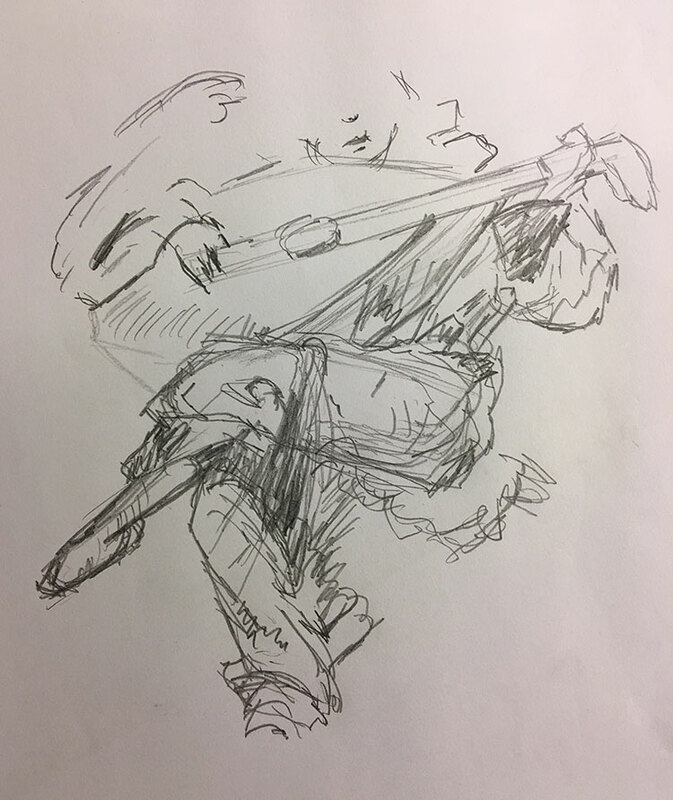 Mike’s lively sketch of a figure from George Bridgman’s Complete Guide to Drawing from Life. Artists throughout history have been fascinated with the human figure. Their struggles and triumphs in formulating traditional drawing methods have become their gift to contemporary artists. These drawing methods document the masters’ solid understanding of artistic and anatomical human form. 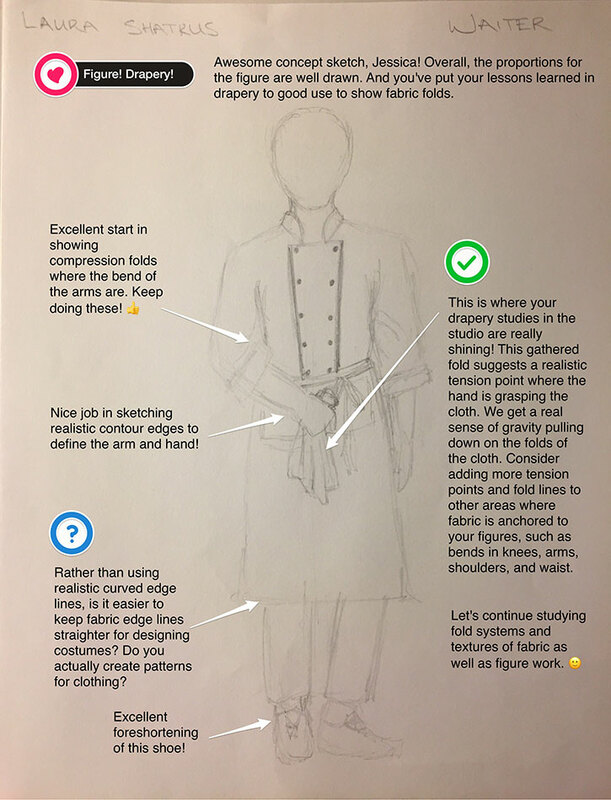 And that can be daunting, to say the least, for students who are just starting to learn basic drawing skills. 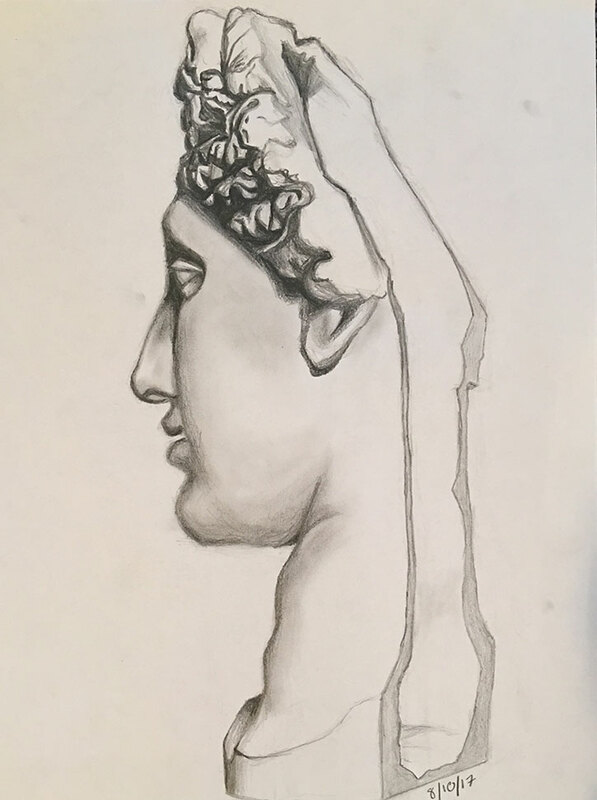 Youth student, Fiona, finished a solid traditional drawing after a print by Charles Bargue during Thursday evening’s youth session. 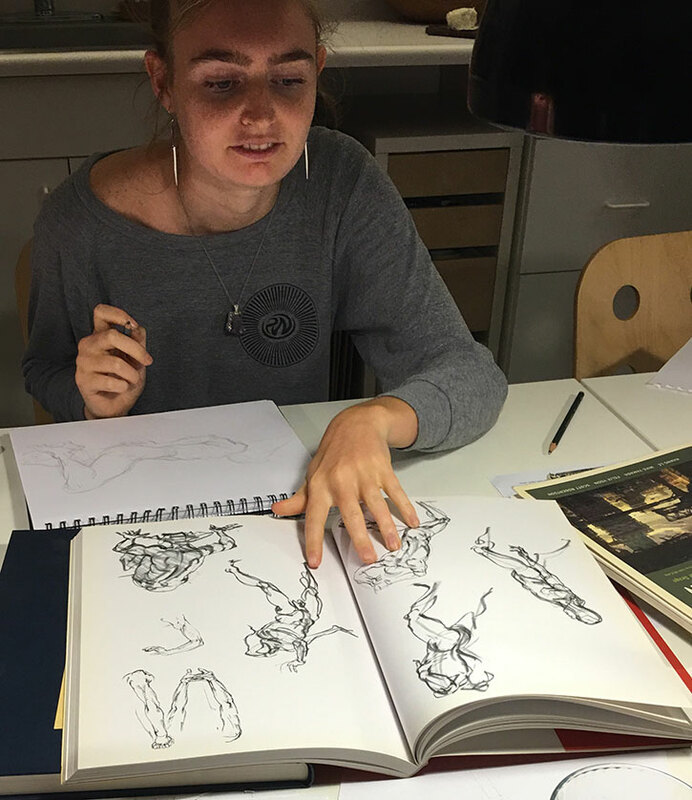 As we welcome more Level 1 students to Drawing Lab sessions, and Level 2 sketchers hone their observational skills, many of our Level 3 students are stepping up their game by studying human form. I am now offering more extensive lessons that explore the basics for drawing people. These lessons will make it easy and enjoyable for you to discover specific areas of interest and levels of challenge. 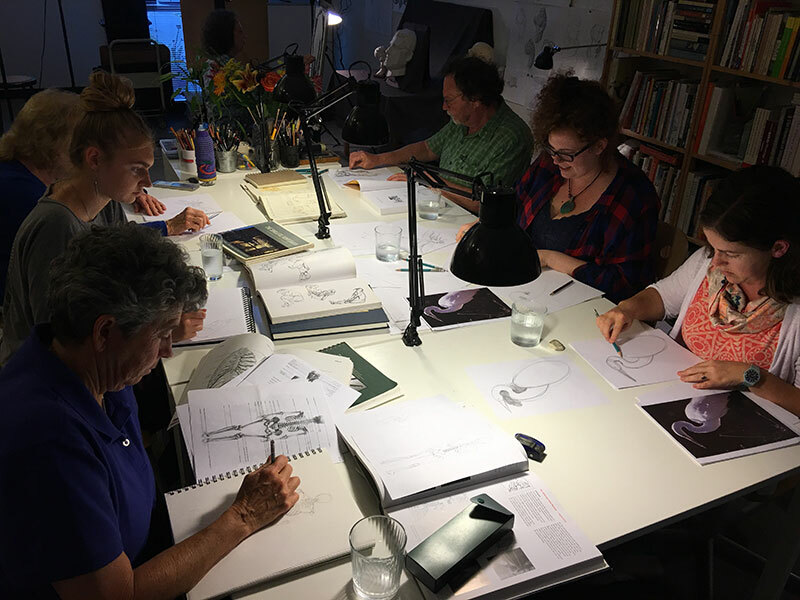 Drawing Lab sketchers make great test pilots in helping to shape our future drawing programs. Wednesday’s session was an evening of fascination shared by all ability levels while drawing humans, animals, and even insects. 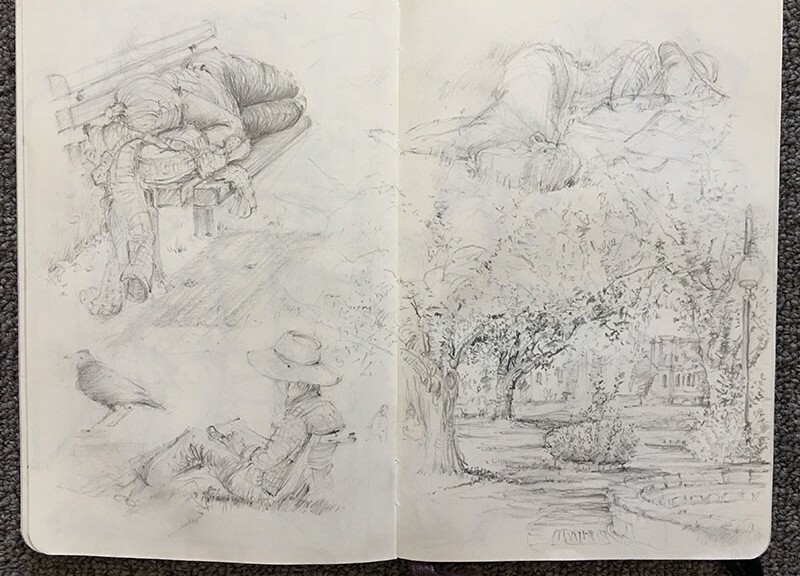 I am excited about the new directions students have been pursuing in their work including drawing objects in the studio, concept sketching, and taking your sketchbooks outdoors to draw the world. Progress has been amazing! But your interest in drawing the human form is perhaps the most exciting challenge of all. 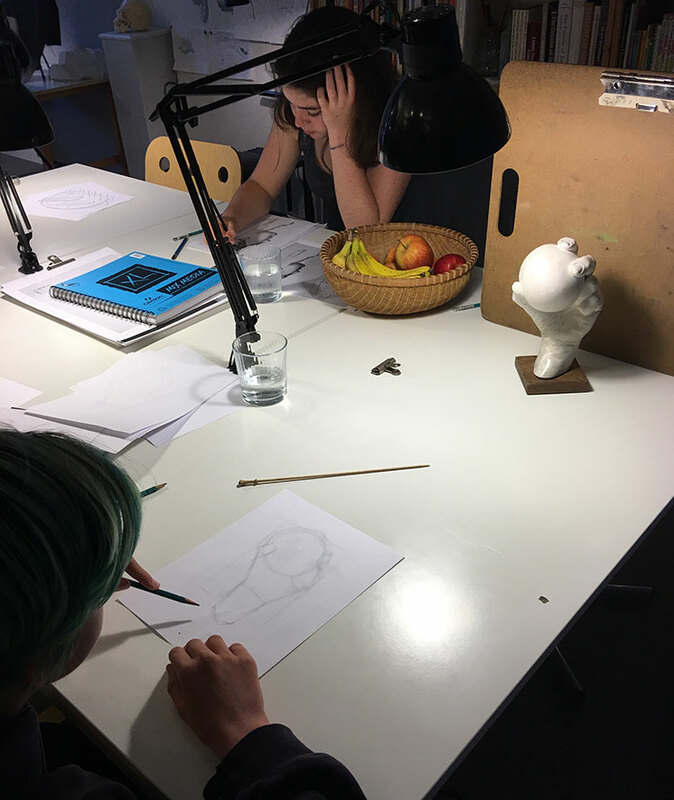 Level 3 student, Lenore, forges ahead in drawing human figures and faces. For those of you interested in studying human figures and faces, I will be preparing more lessons in the coming months. As we learn together, those lessons will become the new introductory program for figure drawing in the future. And, as always, we will continue to offer lessons for studying all our other subjects, skills, and techniques as well. On Thursday, Amma dove into Level 2 blocking for the framework of the hand and ball. 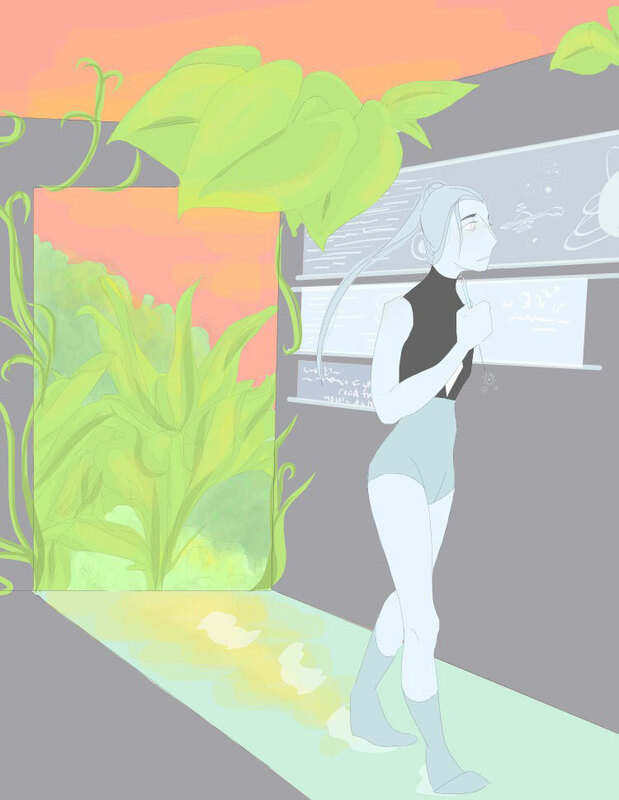 Youth sketcher, Faith, continues development of the characters for her digital graphic novel. She did this study with her finger on the screen of her phone! 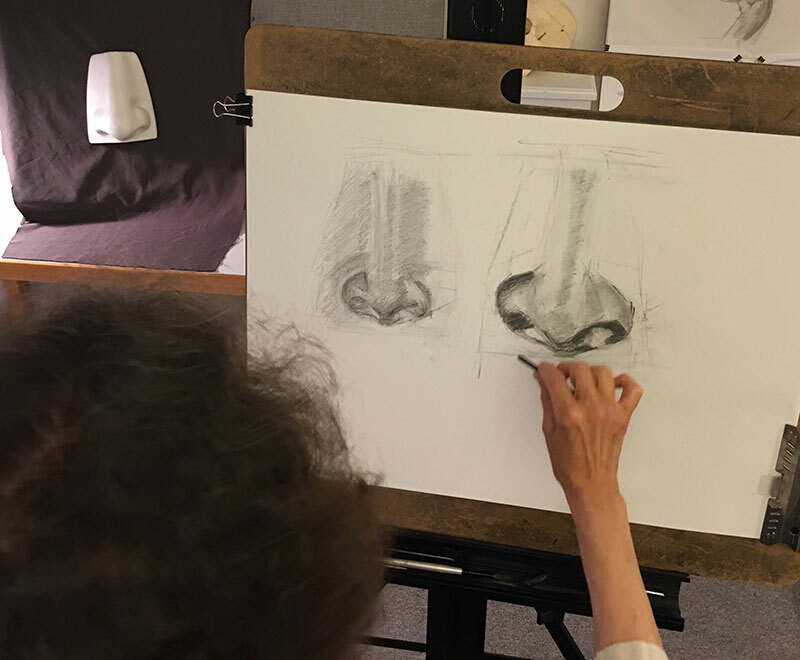 While visiting Santa Cruz this summer, adult student, Jessica, took Drawing Lab sessions to build her foundational skills. She is now back home in Florida at work designing costumes for a local theater. Shown above, are my comments on the cool concept sketch for a production of the play 1984 that she texted to me. 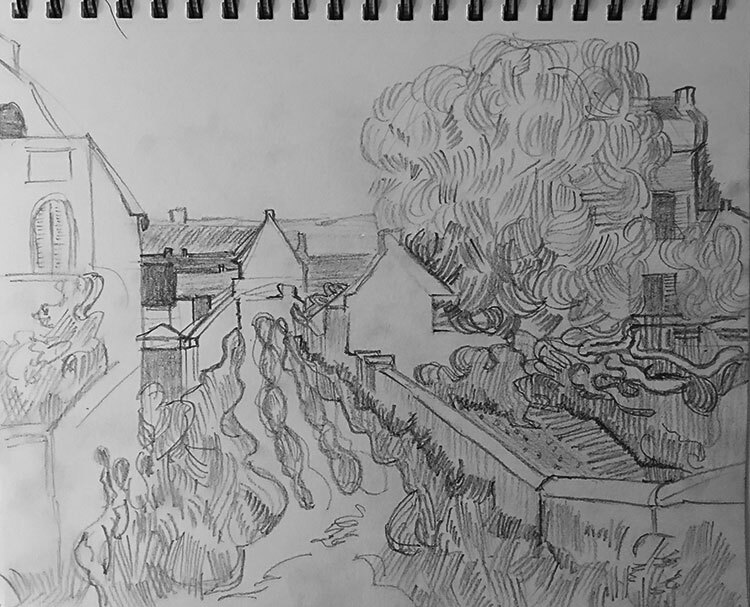 As she prepared for a road trip, Lori honed her sketchbook skills by doing this landscape after a sketch by Vincent Van Gogh. She studied the energy of his line work and 1-point perspective. 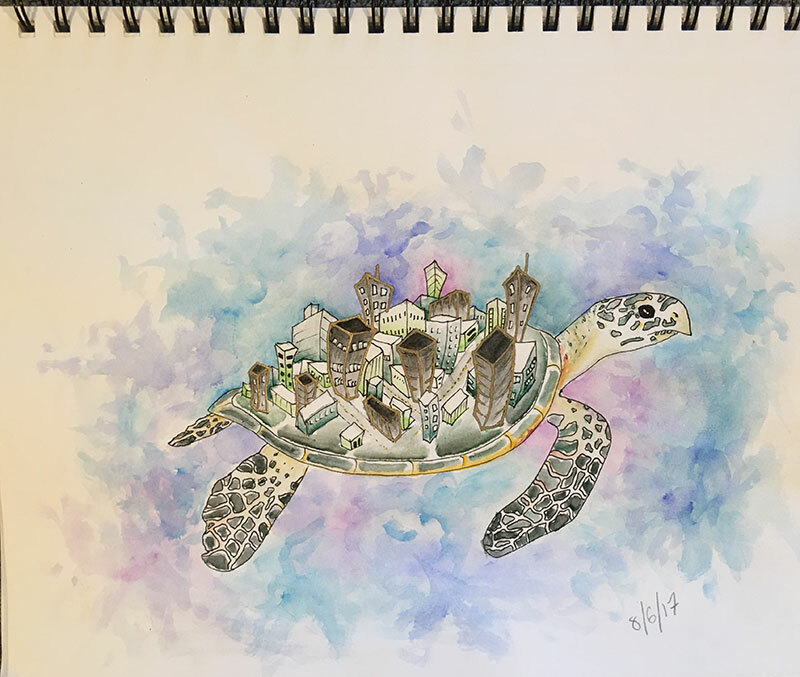 Fiona, rose to another Drawing Lab challenge of drawing from imagination with this fantastic turtle with a city on its back. Could it be a solution for saving us from global warming? 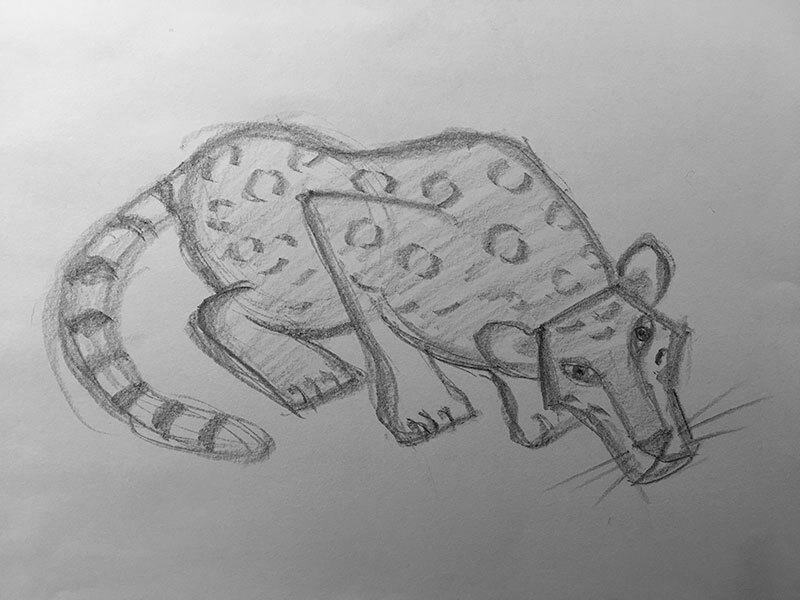 Thursday evening’s first-timer, Nikhil, pulled together this superb Level 1 jaguar study. 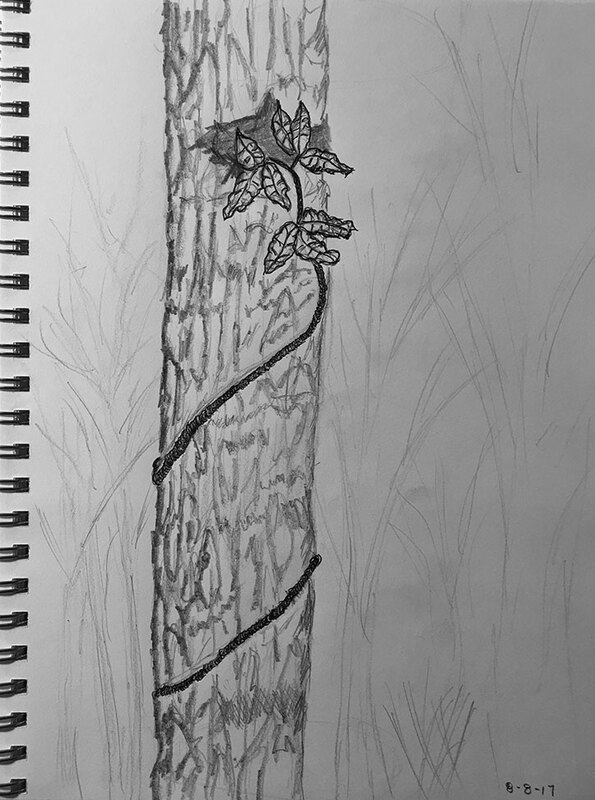 From memory, Storey drew out this wonderful composition of a poison oak vine spiraling up a tree. Yikes, don’t get too close! Previous PostAren’t You Glad You Have Your Sketchbook With You?Next PostAre You Chicken?